Payment must be received in full at the time of booking and is NON REFUNDABLE. Payment must be made immediately to secure your child's place. Fees are NON-REFUNDABLE unless we are overbooked. This includes non-attendance. 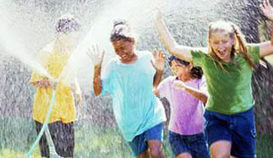 Children must wear suitable sun-safe and TICK SAFE clothing & enclosed walking shoes. Must arrive by 9am on excursion days. Late fees charged for pickup after 5:30pm of $30 per 15 minutes or part thereof.